What if there really was a starting point in human civilization from which language, symbols, beliefs and creation stories began and spread around the ancient world? Laird Scranton has tracked that down! There is a 'Point of Origin' from which all that spread to ancient Africa, Egypt, China and other parts of the world! 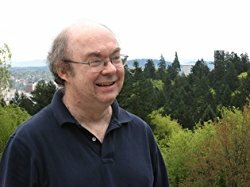 Laird Scranton is the author of a series of books and other writings on ancient cosmology and language. He is featured in John Anthony West’s Magical Egypt documentary series and in Carmen Boulter’s documentary The Pyramid Code.